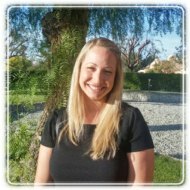 Palm Beach Gardens Therapist: Gillian Bush - Therapist 33410. Send A Message To Dr. Bush. Gillian Bush, Psy.D. is a Florida Licensed Psychologist (PY8940) who specializes in the treatment of anxiety and eating disorders, as well as depression, self-esteem and relationship issues. Received her M.A. in Psychology from Columbia University, New York, NY. Received her M.S. and Psy.D. in Clinical Psychology from Nova Southeastern University, Ft. Lauderdale, Florida. Trained in specialized clinics for the treatment of Social Anxiety, Obsessive-Compulsive Disorder, Phobias, and Panic Disorder utilizing time-limited, research-based Cognitive Behavioral Treatment (CBT). Completed Pre-doctoral Internship and Post-Doctoral Internship at the Renfrew Center of Florida, a residential treatment center for women with eating disorders. Treatment approaches included time-limited and research-based treatments of Motivational Interviewing, Acceptance and Commitment Therapy (ACT) and Solution Focused Therapy (SFT), in addition to CBT and Dialectical Behavior Therapy (DBT). Dr. Bush is currently a private practitioner helping her clients learn to better monitor and regulate their thoughts, their feelings and their lives. Conducting outpatient therapy using an integrative therapeutic style which ensures that every client is receiving treatment that is individually tailored to his or her specific needs at that time. Focus on "meeting you where you are" and working towards creating a collaborative vision for the future. Focus on maximizing take-home skills and helping you to translate the work within her office into your daily life. When appropriate, incorporates coaching and skills training during real life, "in-vivo," opportunities for you to face your fears and learn how to utilize skills in the moment. Dr. Bush's office is located in Palm Beach Gardens, minutes from I-95 and the Florida Turnpike, serving Jupiter, Juno, North Palm Beach and Palm Beach Gardens. Please visit www.drgillianbush.com for frequently asked questions, services offered and rate information. Dr. Bush has recently authored a blog post on embracing and conquering anxiety. Read her article here.